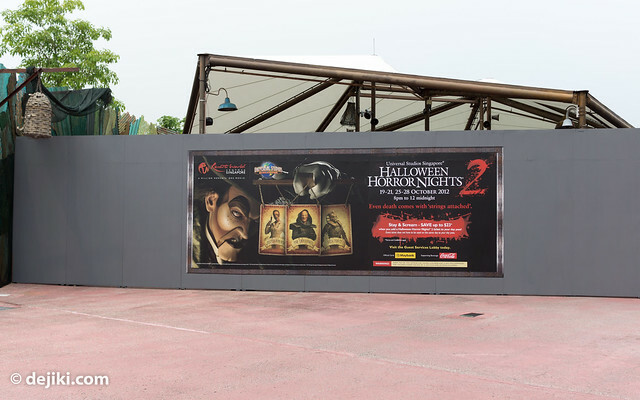 Here is the September 2012 update and photographs from Universal Studios Singapore. Sesame Street indoor ride – Exit? 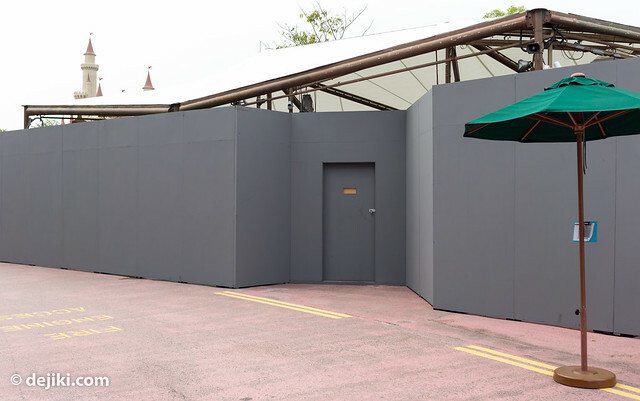 NEW DATES: 6 Oct, 3 Nov, 10 Nov, 17 Nov, 24 Nov.
One of the shop facades at New York zone, Finnegan’s Bar and Grill has been completely masked. 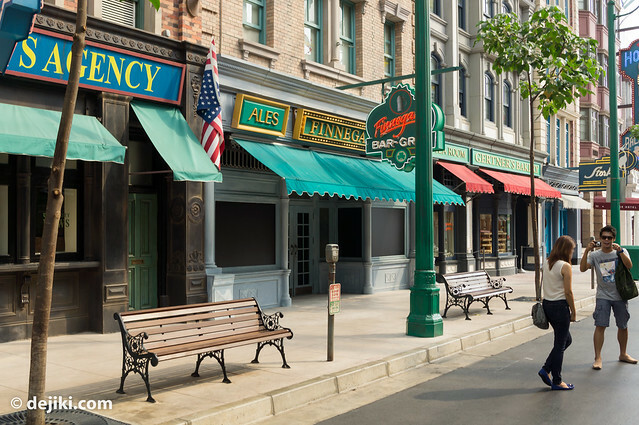 It looks like this can either be the Sesame Street ride exit or another Sesame Street shop, although the ride exit seems more likely – as the exterior queue switchbacks end before this section of the street. 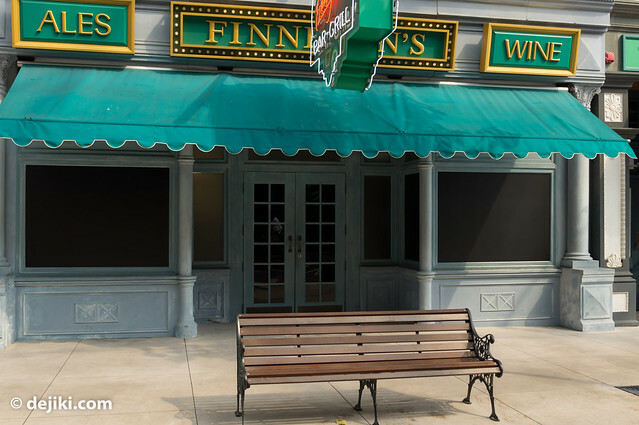 Another possibility (though very unlikely) is that they’re actually building Finnegan’s Bar and Grill (an actual restaurant, like the one at Universal Studios Florida) but that is really unlikely given how everything is crammed together at the back-of-house. 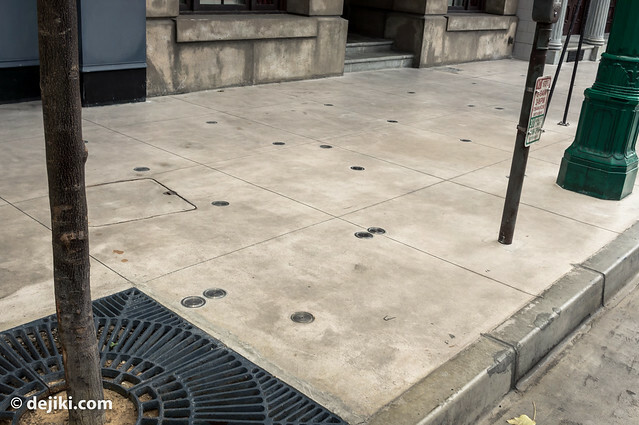 As Luke spotted a few weeks ago, there are several sockets on the ground to allow the park to setup an outdoor queue, on demand. The Sesame Street show building is rather small. There’s no space for large queue zones. 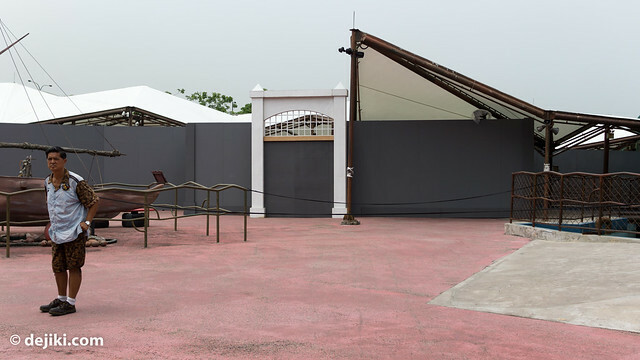 Talking about outdoor queues, this on-demand queue system is also done at several attractions around the park, such as Transformers: The Ride, Revenge of the Mummy, Jurassic Park Rapids Adventure. Similar setup is also used at various segments of the parade route for Hollywood Dreams Parade, to form the barrier along the route. Some ropes have been put at the building facade adjacent to the Finnigan’s. The doors lead to a backstage area. I’m not sure why the ropes are placed here… unless some guests have stumbled backstage accidentally. Here’s a closer look at The Insanitarium haunted house spotted in the previous update. You might notice that the walls are mostly plain, except those panels that are near the white arch – there’s some basic decoration there. 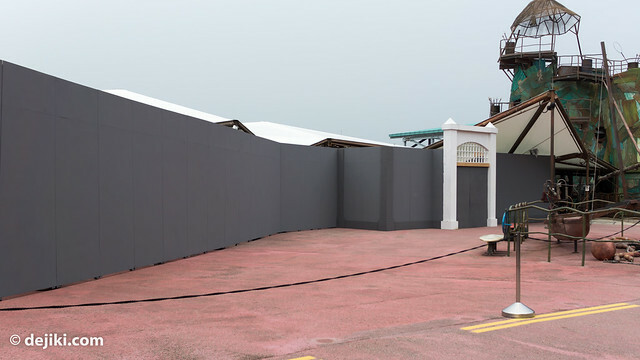 I cannot share photos of what’s inside, but let me just say that construction has been going on for a while – and many walls of the maze are already up. The Waterworld queue zone is quite large. It looks like this haunted house can be as long (or even longer) than one at Stage 28 last year. 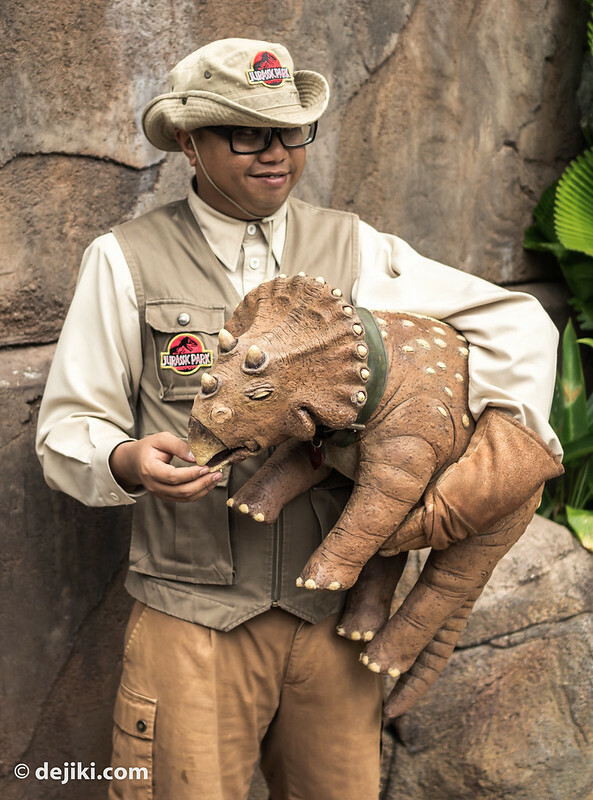 When it comes to Meet-and-Greet characters at Jurassic Park, usually we’d see Dr. Rooney and Diane (an infant Triceratops) around the zone. But recently there’s a new character making its rounds. 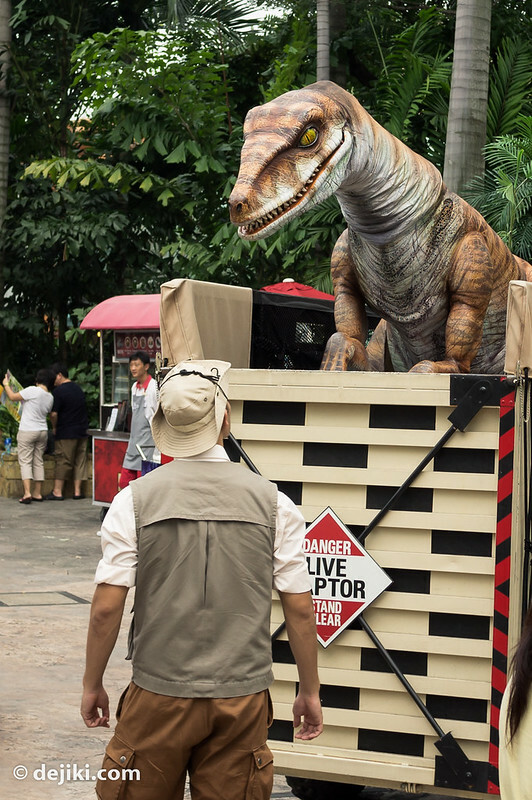 Meet Patsy – a surprisingly innocuous Velociraptor and its handler. 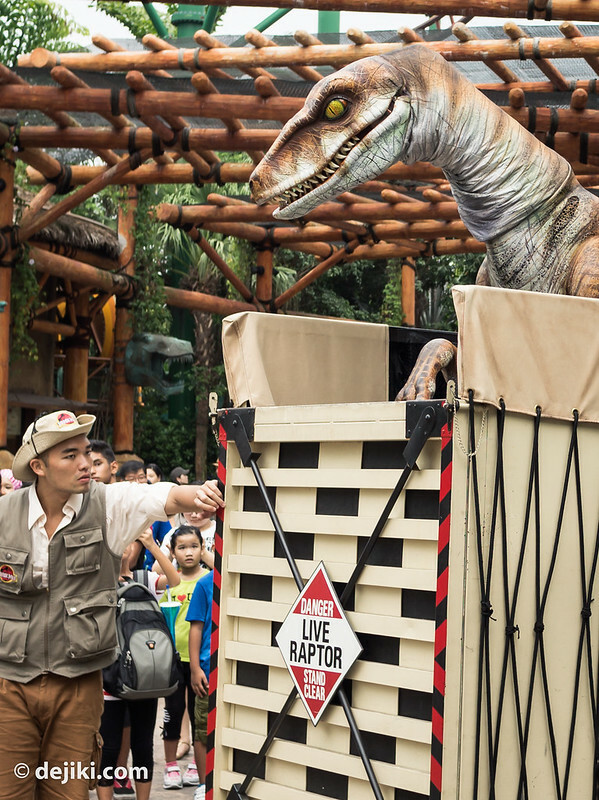 The Raptor is pretty energetic and so is the raptor handler – he slammed and even kicked (!) the enclosure to calm the excited (and hopefully not hungry) Raptor down. But if this was the same Velociraptor from the films, everyone should RUN. FAST. 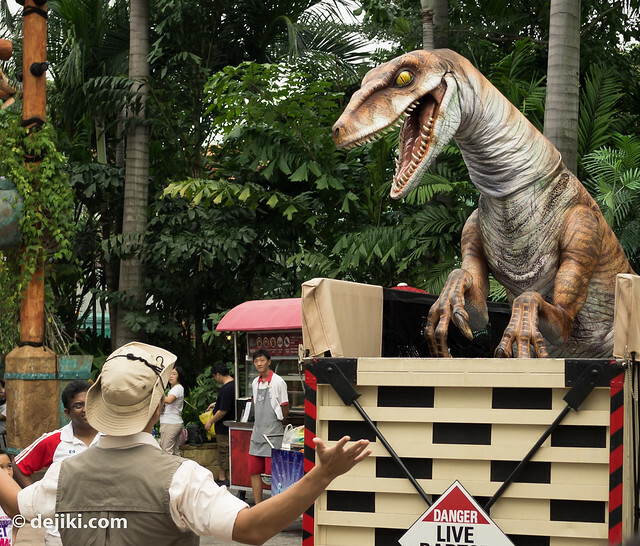 A little bit of black humour here – but it’ll be interesting if the enclosure falls apart and the raptor “escapes”. For park fans: The little jeep and mobile enclosure were used last year for the Grand Opening parade. There are some modifications. 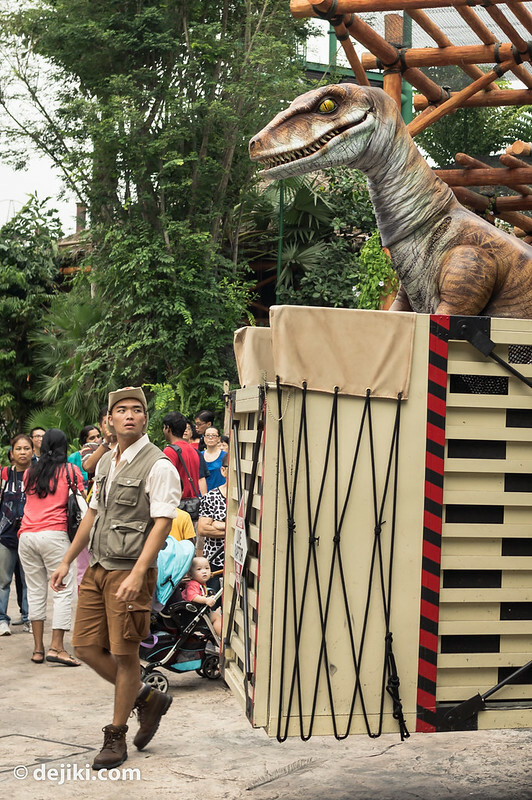 The Velociraptor also appears during Hollywood Dreams Parade. I think nothing explains this Meet-and-Greet experience better than a video. Watch it here! 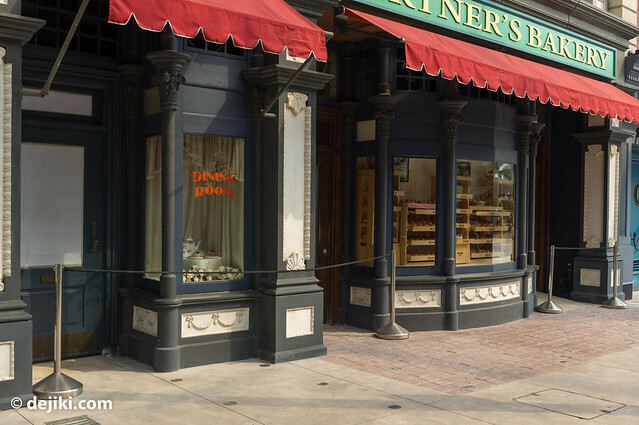 For Sesame Street, I agree that the store will be the exit/store of the ride. I also spotted the indoor queue area (and I don’t think I should share the photos, should I?). For the haunt, please don’t scare me anymore…. I barely survived the haunt last year and one (or three?!) longer haunt(s) will kill me! For the Raptor, I like it a lot. I happened to meet it when I visited the park with my friends. The guy accompanying it is so funny.